William Shakespeare died 23 April 1616. 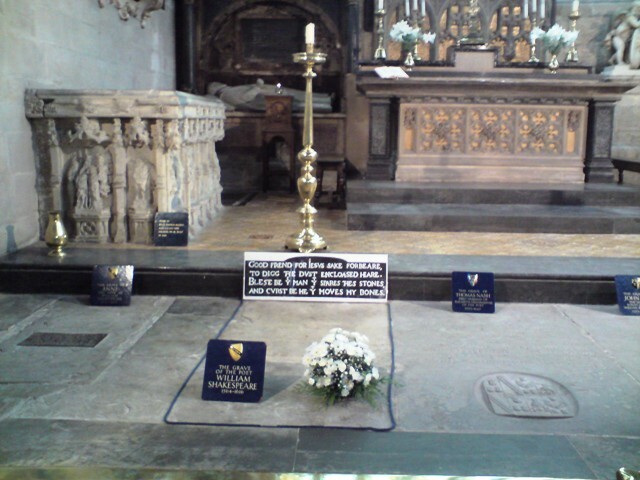 He’s buried in Stratford-Upon-Avon in Holy Trinity Church. Some say he was the greatest writer who ever lived. Others say his works belong to other writers. Personally, I think he did write his plays, albeit with ideas from the players with whom he worked and a certain amount of ‘borrowing’ from earlier works and writers. Which translates as don’t move my dead body or I’ll totally curse you. Because he may be dead, but that doesn’t mean you can screw with The Bard.